Telenor's youth brand, Djuice has introduced two new mobile devices in Pakistan. The Nokia Asha 302 and Alcatel One Touch 990. Earlier I reported about Nokia Asha 303 by Mobilink. 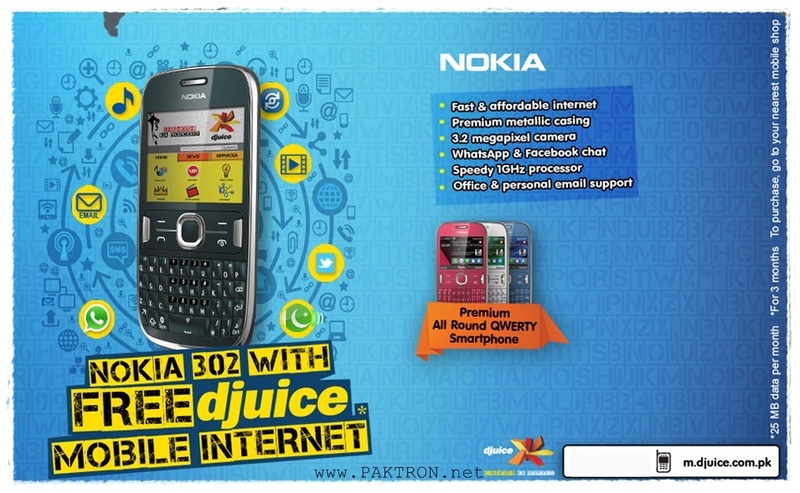 The Nokia Asha 302 comes with 3.5G and Wi-Fi support for fast connectivity, a quick 1 GHz processor, and a QWERTY keyboard for fast typing while Alcatel One Touch is Android Gingerbread or V 2.3.3 powered smartphone. 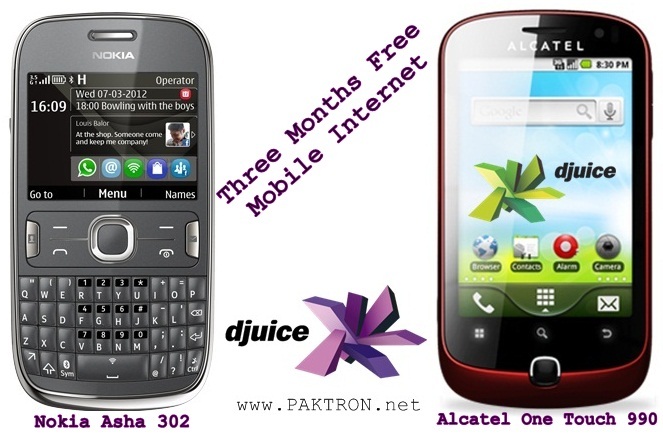 Djuice offers free unlimited internet for three months for those who will use djuice SIM with these mobile phone devices. 500MB per month for 3 months for One touch and 25MB per month for Nokia 302. One Touch is available at Telenor Sales & Service Centre and Franchises and to purchase Nokia 302 go to your nearest mobile shop. Free internet bundle is only applicable for djuice (prepaid) sim. One touch is network locked i.e. only supports Telenor Network. 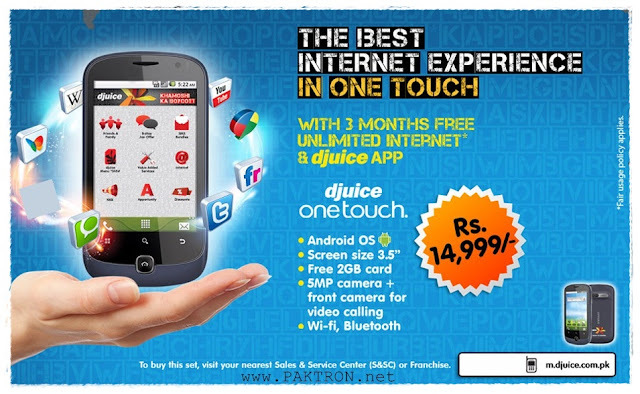 Free internet offer is only for first djuice sim inserted in the device. One touch comes with 12 month warranty.